Afshin Shawn Adhami, M.D. was nominated for his contributions in healthcare in the Medical Group CEO division. On the 11th of April, 2012, the top leaders in city’s Healthcare community gathered at the Millennium Biltmore Hotel for the Los Angeles Business Journal Healthcare Leadership Awards. The nominees included outstanding individuals and organizations that make an impact in the front lines of Healthcare delivery, research and education. Dr. Adhami was also one of four nominees in the Healthcare Leadership Lifetime Achievement Award for Los Angeles. Dr. Adhami was joined by members of his family, friends and staff as he was honored with the 2012 Medical Group CEO Award. Dr. Adhami looked surprised and humbled as he reached the stage to accept this well-deserved award. His heart felt speech was felt throughout the hundreds of attendees at the event while he thanked his father in the audience for his lifelong inspiration. Other honorees included Dr. David Feinberg, CEO of UCLA Health System in the Hospital CEO category, Mary D Hacker, MBA of Los Angeles Children’s Hospital in the Hospital Executive category and Dr. Robert Nagourney in the Research Executive category. Albert Ghirardelli of Providence Holy Cross Medical Center was honored with the Lifetime Volunteer Award. Dr. Adhami is a practicing Internal Medicine physician. He is the CEO and Medical Director of Vistasol medical group. Along with his associates which include a supervising Pediatrician, an Ob/Gyn physician, and three Physician Assistants, he takes pride in a family centered approach to healthcare. Dr. Adhami himself takes care of patients at his two clinics and local hospitals. His skills as a physician has earned him various other awards in the past including: Patients’ Choice Award by American Registry in 2008, 2010 and 2011, Most Compassionate Doctor in 2010 and 2011, and Healthgrades 5 star doctor in 2010 and 2011. 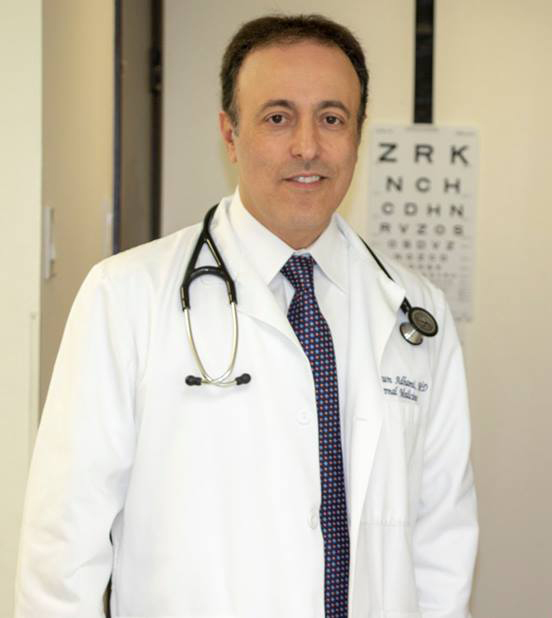 In December of 2011, Dr. Adhami was elected Chief of Staff at Monterey Park Hospital. At this role he is the primary leader at all divisions of the hospital which includes a staff of about 270 physicians. In his short time as Chief of Staff, Dr. Adhami has been praised for implementing a new program to improve quality of care and patient satisfaction at the hospital. Dr. Adhami has shown extraordinary leadership, commitment and sense of social responsibility in Healthcare throughout his life. His volunteer work began at UCLA Hospital as a student. This experience opened his heart to people’s suffering and compelled him to pursue a career in medicine. Since becoming a doctor he has offered his time as a volunteer in numerous occasions. Dr Adhami has been able to turn failing and failed clinics in underserved areas into successful operations. Shawn has achieved this by focusing on care and compassion and by superb management skills. He then has used his success to offer care at low or no cost to low income patients. He has been able to do so without any special assistance from the state or county. Shawn also teaches future health care providers at USC about good patient care. Dr. Adhami is also a clinical instructor at USC School of Physician Assistants Program and teaches students at his clinic. His previous students have moved on to great careers in medicine. To learn more about A. Shawn Adhami, M.D, contact Vistasol Medical Group at (323) 346-0555.